The Gastehaus Schmidt app has built in GPS directions to many events and locations in Fredericksburg, Texas and the Texas Hill Country. Need GPS directions to a winery or the Pedernales Brewing Company tasting room? 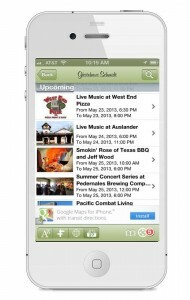 Before you arrive in Fredericksburg, download our iPhone or Android app.